I ordered a cake for 30 people for my 21st birthday & it was delicious! It was banana cake with chocolate filling, only one layer & it was a good size. The guy that took the order was very nice & helped me design the decoration. I was very happy with the cake but felt that it was a tad pricey considering it was a very plain cake. None the less, I was satisfied & the service was good. We made it on Fox 11’s Twitter page during the Good Day LA Coffee Shop Take Over. How cool! [Review] Banana cake balls are tasty! Love the banana cake balls. So tasty! Brought the family, sadly we didn’t wait till we for home. And ordered another banana cake ball and cupcake for the road. [Review] Wonderful atmosphere and absolutely delicious! Wonderful atmosphere and absolutely delicious. When I walked in I was heartily welcomed and cheerfully shown around the menu. The lovely Bethany took my order and prepared my cupcake specially for me-I got the “elvis” cupcake on her friendly recommendation and I have never enjoyed a cupcake so much. I will certainly be returning, this bakery is a hidden gem. Do your tongue a favor and stop by. 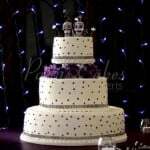 Check out these amazing 3 tier wedding cakes with bling! They are absolutely beautiful and look amazing. All designed and created to perfection! 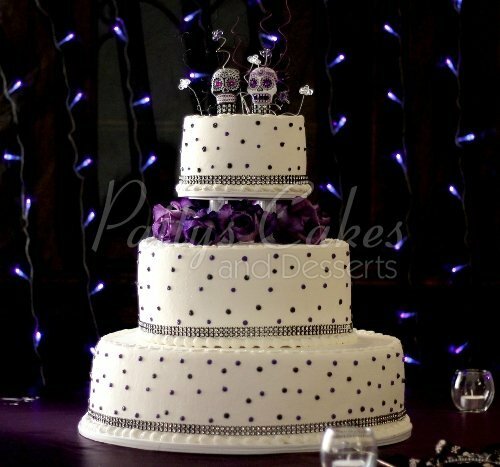 This amazing 3 tier wedding cake has beautiful purple roses with purple dots all around. Finished off with a gorgeous bling on the boarders. 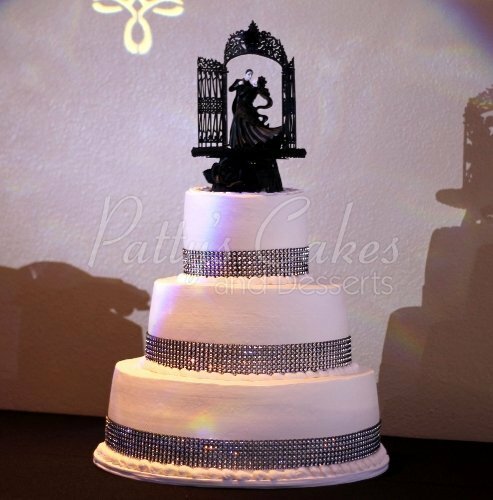 This 3 tier wedding cake has a beautiful cake topper with amazing bling around the boarders of the cake! 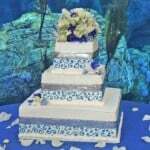 This amazing and colorful wedding cake has flowers as the cake topper and has ribbon with bling around the boarders. [Review] Best cakes and cupcakes ever!!! Patty’s has always been my go-to for any event or just because. Their cupcakes and cakes are so moist, light and fluffy, and the filling/icing is just the right amount of sweetness. No other cakes/cupcakes compare to the ones here. ABSOLUTELY LOVE THIS PLACE!!! Patty made our wedding cake. We went to several different bakeries, sampling and designing cakes. Patty’s Cakes was the most affordable, the most delicious, and the most flexible. We had a cake that each piece was half chocolate and half white cake with chocolate ganache between the layers. She even made a special carrot cake top layer just for us. We had a 3 tier cake with a sheet cake to feed our 150 guests and keep costs down. They delivered for a Sunday wedding, even though they are closed on Sundays. Also, we hate the taste of fondant so we choose her really tasty buttercream frosting. The day of our wedding, I couldn’t believe how pretty our cake was! The delicious buttercream frosting was so smooth and was covered in sparkles. It still looked white but twinkled in the sun in a very classy way that my husband thought was really nice and not glittery or over the top. All of our guests really thought it was a nice touch on the cake. We could not have been happier with the cake and working with Patty. We will go back for our anniversary cake, as well as cupcakes and for special occasions. I dislike store cupcakes (like Sprinkles), but her cupcakes taste just like mini cakes and have a moist texture. Delicious! Very good experience! [Review] Best cakes ever tasted! 03/23/13 - Cristina - Fullerton, CA - via Yahoo! Best cakes ever! Super fresh and moist every time! This is a must if you are near the Fullerton are! [Review] Frequent customer for life! 06/07/13 - Kristin - Fullerton, CA - via Yahoo! I have had these a couple times now and will be a frequent customer I am sure! They have great traditional flavors, as well as some specialty cupcakes that sound crazy enough to eat! My husband had the peanut butter pretzel one and said it just might be the best cupcake he ever had! There customer service is bar none. I had an issue with one if my cupcakes making it home in one piece, and Phillip was most accommodating and replaced, not just that cupcake, but offered me two additional cupcakes as well! That s amazing service! Go to Patty s cakes! You won t be disappointed!